when i started hector’s take on ROSE’S heavenly CAKES, i sourced for the best ingredients. for the Holiday Pinecone Cake (page 234), i thought of using a finely milled confectioner’s sugar for the chocolate fondant. india tree sells a confectioner’s sugar that is 100 times finer particle size. it claims making a smoother fondant. over 25 years ago, Rose invented chocolate fondant. the taste is excellent and indeed it is the only fondant i like to make. however, the texture isn’t as smooth and as elastic as commercially made fondant. 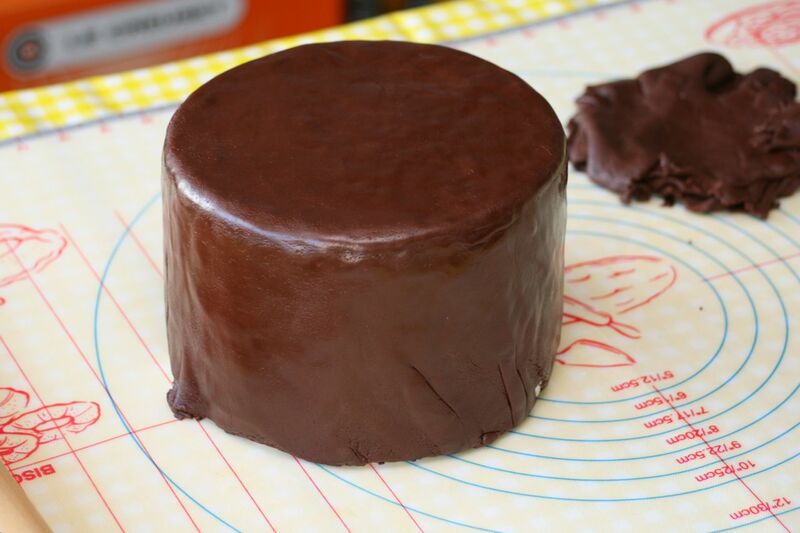 home made chocolate fondant will crack at the edges when draped on a cake. home made chocolate fondant is best used as wraparounds or bands. the results weren’t perfect, but i think much better! i draped a 6″ styrofoam cake dummy, 4″ tall. 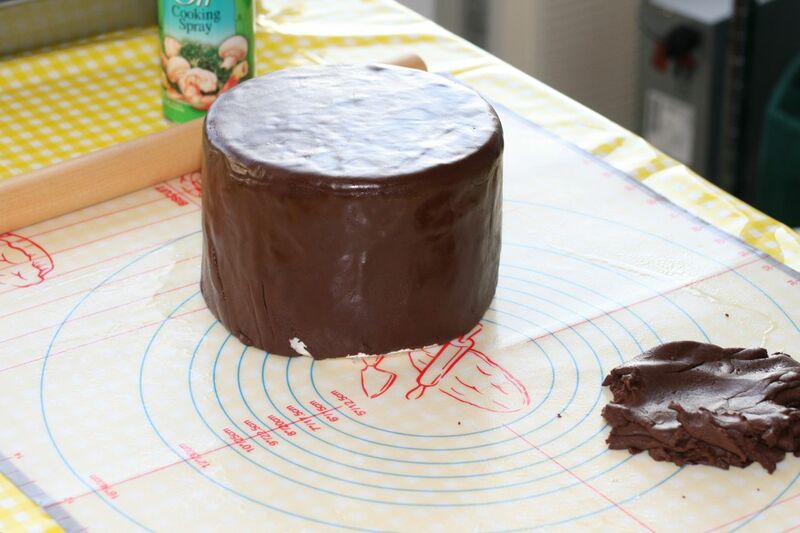 i rolled the fondant extra thin, about 1/8 to 1/16″ thin, just to test the limits! the texture was smoother and the cracks were razor thin. 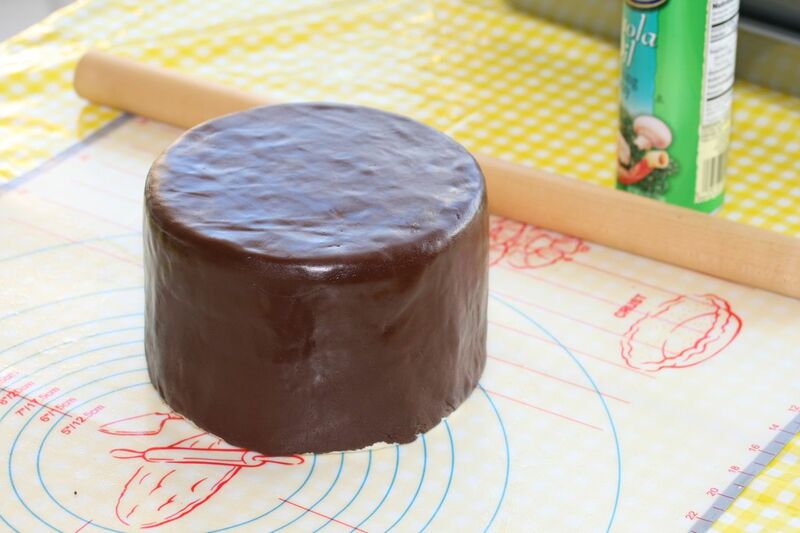 i think if you roll this fondant to about 1/4″ thin you could achieve near perfect results. Hector, I’m amazed at how shiny that is- is the fondant shinier with the 100x sugar? And the cracks aren’t very noticeable. J, i use oil spray instead of corn starch when i roll chocolate fondant. i also spray my hands and the rolling pin, so this is probably what gives the shine.